The Sweetest Holiday Treats + a Giveaway! We're right in the middle of the holiday season and that means plenty of comforting seasonal treats. As you probably know, I have a HUGE sweet tooth. I love anything with sugar, and that's part of why I love the holidays. Sweet treats also make great gifts and stocking stuffers for friends, family, teachers, and co-workers. I thought I'd round up five of my favorite treats for the holidays or anytime. In an effort to support local businesses, all of my picks are from the Chicago area, with most of them shipping across the country. Check out some of my favorite sweet gifts below and let me know what your favorites are in the comments! As an added bonus, one lucky follower will win a 1 lb holiday mix, compliments of Terry's Toffee! But hurry up because this giveaway ends on Friday! Carol's Cookies out of Highland Park are some of the biggest, baddest cookies you'll try. These big boys are full of a healthy dose of mix-ins from chocolate chips, raisins and toffee, to peanut butter and white chocolate. My personal favorite is the Toffee Crunch cookie, but you really can't go wrong with any flavor! 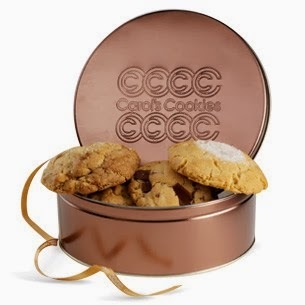 Carol's makes it easy to give their cookies as gifts in functional tins ranging in size. 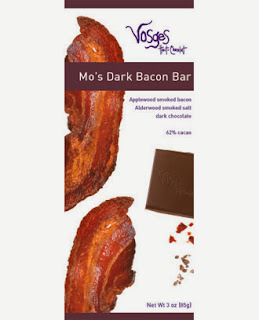 Vosges Haut-Chocolat in Lincoln Park created by founder and chocolatier Katrina Markoff, offers a selection of truffles, chocolate bars, toffee, caramels and more! Perhaps one of their most famous items are their bacon and chocolate bars available in dark and milk chocolate. Their array of holiday gift sets makes is easy to check off the chocolate lover on your holiday list. 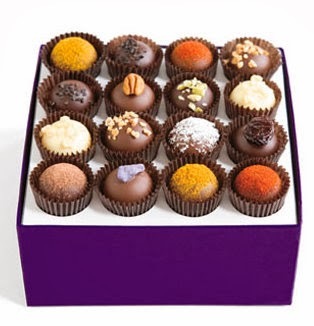 I've even picked up their chocolates at O'hare Airport before a flight to give as hostess gifts, and you can sample their chocolates at their Lincoln Park or Michigan Avenue boutiques. Who doesn't love chocolate? I first learned about Salted Caramel a few years ago when I stumbled upon their shop inside the Andersonville Galleria (if you haven't been, go! It's heaven and a great place to find unique gifts). I sampled several of their sweet treats, but their famous bacon bourbon caramel corn and salted bourbon caramel marshmallows had me hooked! I tried my best to ration out both, but they were highly addictive. 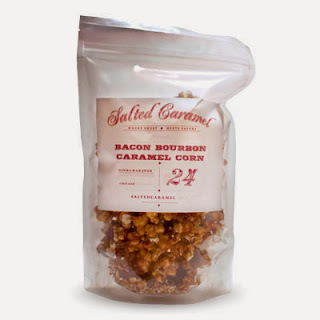 The chunks of smoky bacon in the popcorn were to die for with the sweet caramel corn. Check out their full line up of products, all made in small batches in Chicago. Terry's Toffee is the labor of love from partners Terry Opalek and Michael Frontier. The duo have been making toffee since 2002 from Terry's grandmother's recipe. 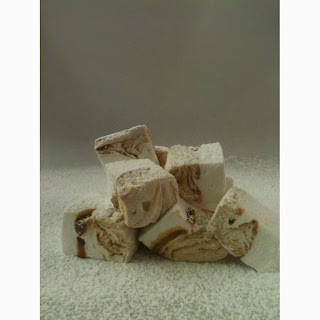 That recipe became the basis for their classic toffee which is blended with California almonds, coated in milk chocolate and dusted with Georgia pecans. They've also expanded their toffee horizons with global flavor influences such as chai, ginger and wasabi. 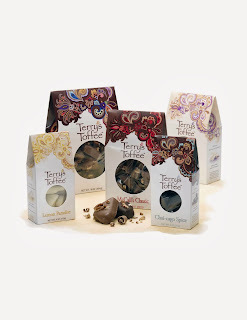 Today, Terry's Toffee has gone global and has been a treat at the Academy Awards since 2005. Terry's offers a wide variety of toffee flavors to choose from including orange, coffee, peanut butter and even a matzo toffee (called Mazel Toffee...brilliant!) that are sure to make a great holiday gift. I've teamed up with Terry's Toffee to offer you the chance to win one 1lb box of holiday mix which includes the following flavors: McCall's Classic, Cran-Orange Passion, Lemon Paradise, and Peppermint Pistachio Crunch (I won't tell if you decide to keep it for yourself!) Enter the giveaway at the bottom of this post! Hoosier Mama Pie Company, located in Chicago's Ukranian Village and now Evanston, is serving up some of the most scrumptious handmade pies you'll ever try. I fell in love with Hoosier Mama upon visiting their tiny Ukranian Village storefront where I tried the most heavenly piece of peanut butter pie on Earth. Since then, everything I've tried has been a slice of homemade comfort. For the holiday season, Hoosier Mama is taking orders for pickup on Sunday December 22, just in time for Christmas. A few of the holiday pie selections include pear apple cranberry with pecan crumble, maple pecan, ginger custard and savory flavors such as beef extra stout and curry sweet potato hand pies. NOM. 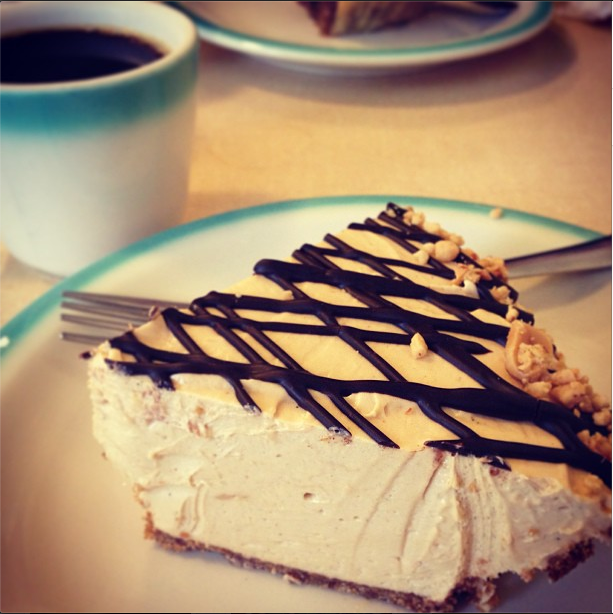 Pick up one of their pies for your holiday dinner, or stop by for a slice and cup of coffee for just $6.